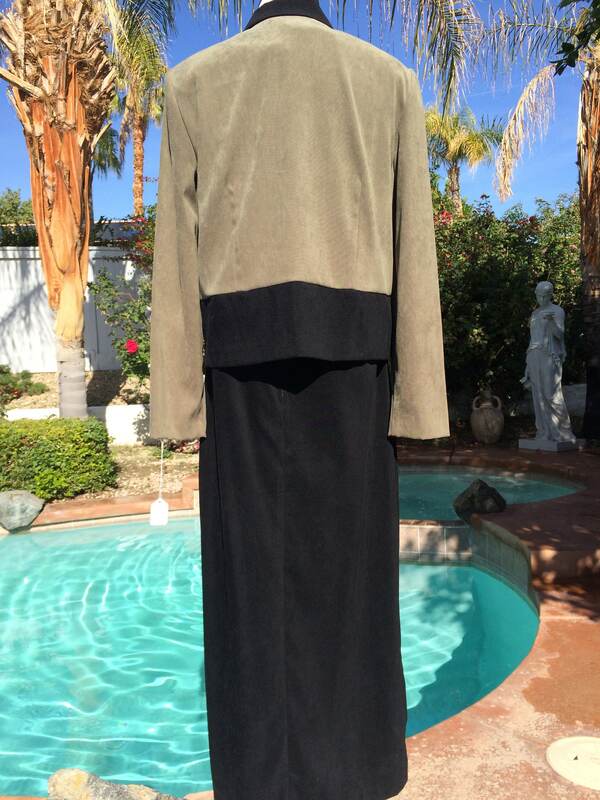 Vintage 90's Miss Dorby Maxi dress and Jacket Set,Micro Suede, Size 12,90's School Teacher Look. 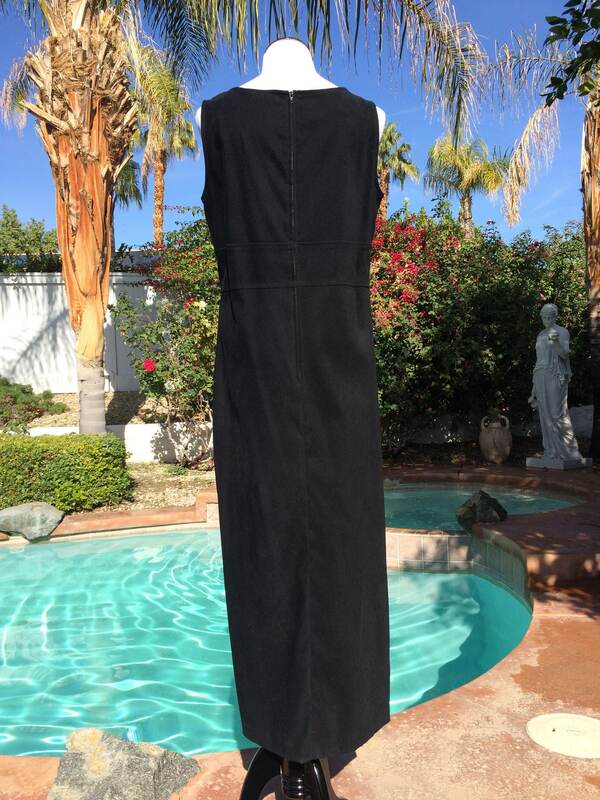 Vintage 90's Miss Dorby Micro Suede Maxi Dress and Jacket,Size 12,School Teacher Style. 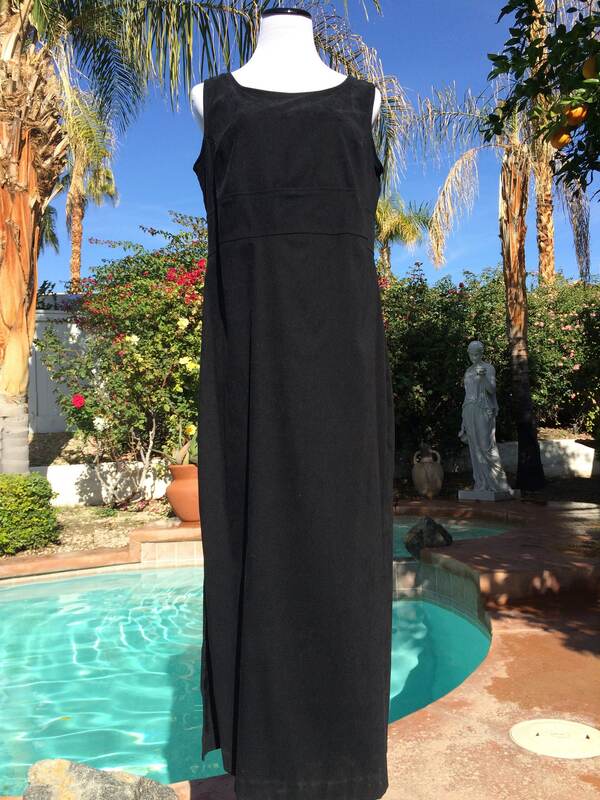 This is a very nice vintage set,the dress a simple black maxi sheath with a very stylish jacket with leaf embellishments. 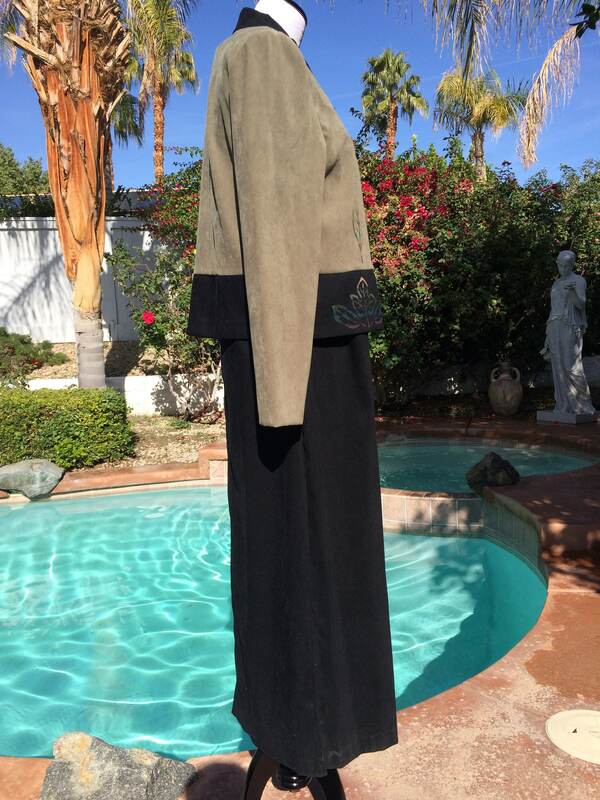 The material is a soft micro suede and both dress and jacket are fully lined. 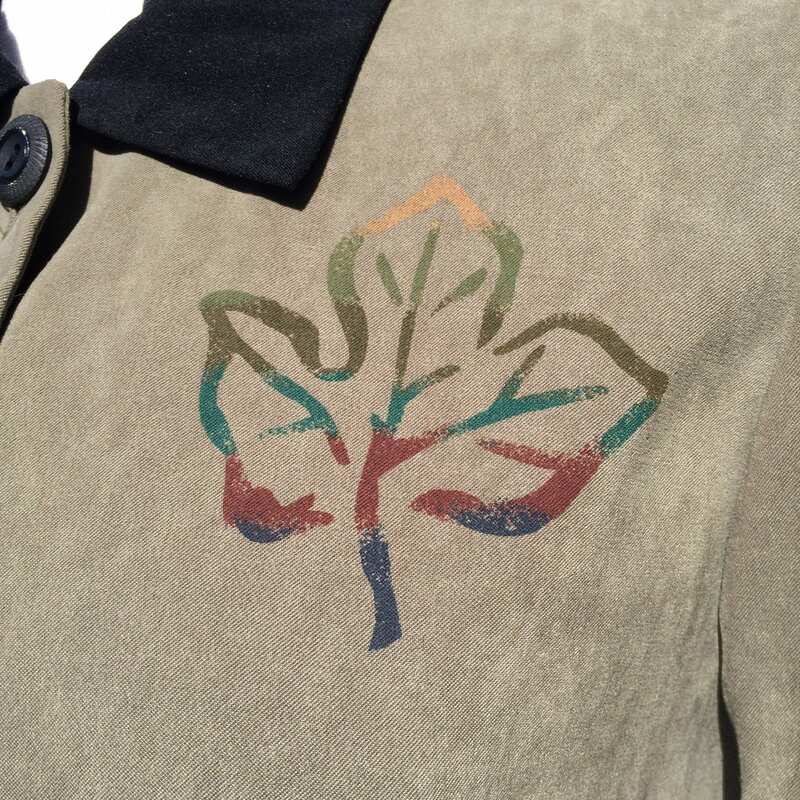 The jacket has a four button front enclosure. 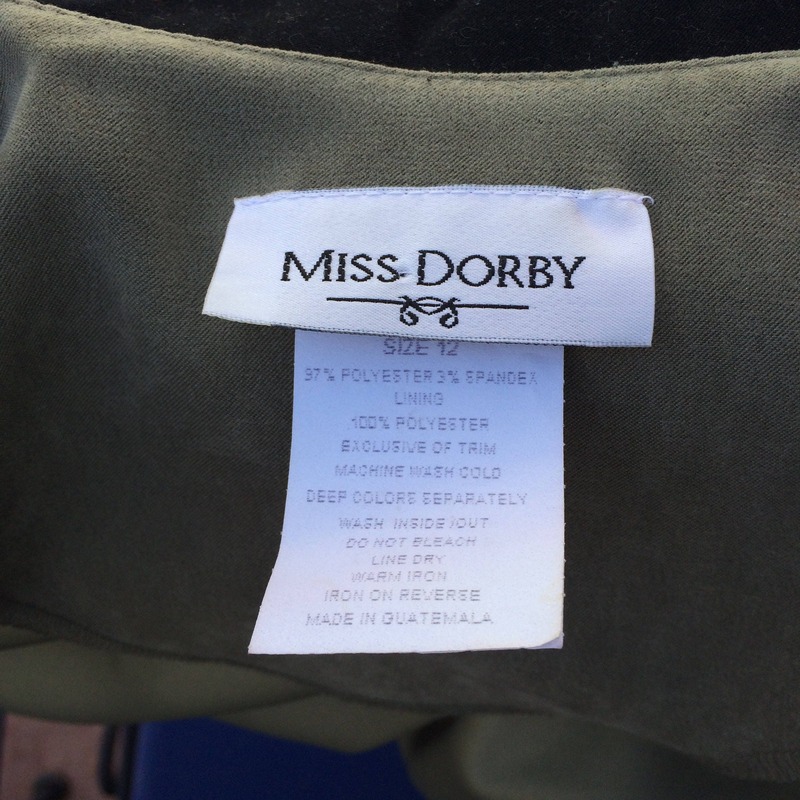 The label reads Miss Dorby,97% polyester,3% spandex,size 12. 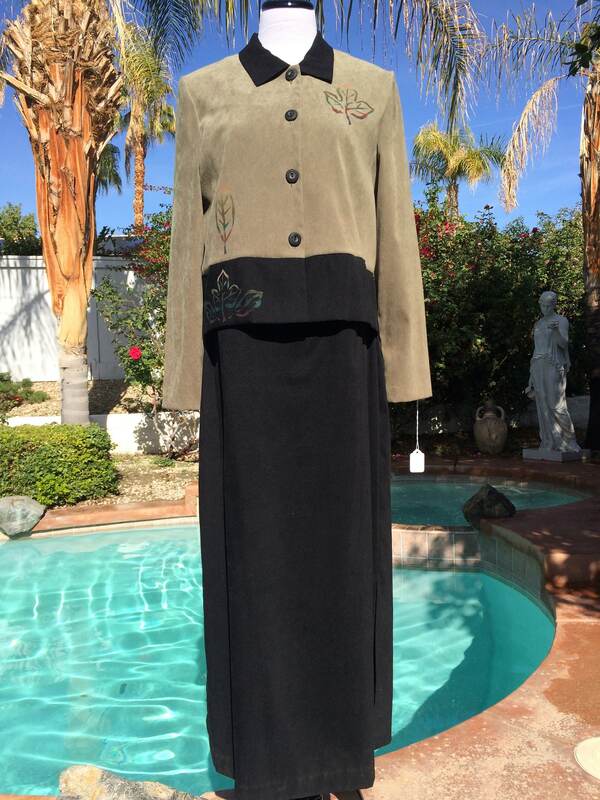 This is in very good/escellent vintage condition and is a charming outfit.